Posted on May 9th 2017, by Kevin. In Get Off that Game Now! 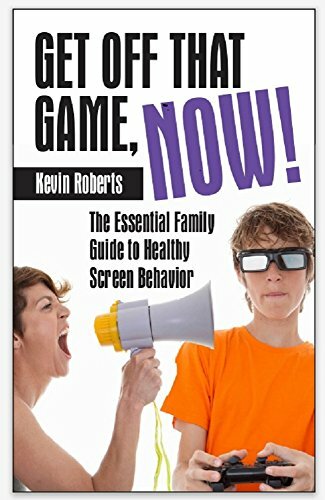 Kevin Roberts, a recovering video game addict, invites you to examine your parenting techniques with regards to technology use. Are you a yeller, nurturer, or screen cop? Do fights over access to technology make your house seem like a war zone? Roberts gives concrete, easy-to-implement steps to change the way you parent around technology, showing us that clear and healthy limits set from an early age will go a long way toward children regulating themselves. Get Off that Game Now! gives the reader a front row seat into Roberts’ counseling sessions with parents and kids, where he helps them to make proactive, wise choices in their households—and to notice how parents interact with technology themselves. Regularly featured in news media, Roberts runs seminars for addicts, parents, and professionals. Roberts speaks around the world on this topic and regularly leads interventions. Without isolating ourselves from the world, Roberts demonstrates how we can take steps to corral and manage media. There is hope.